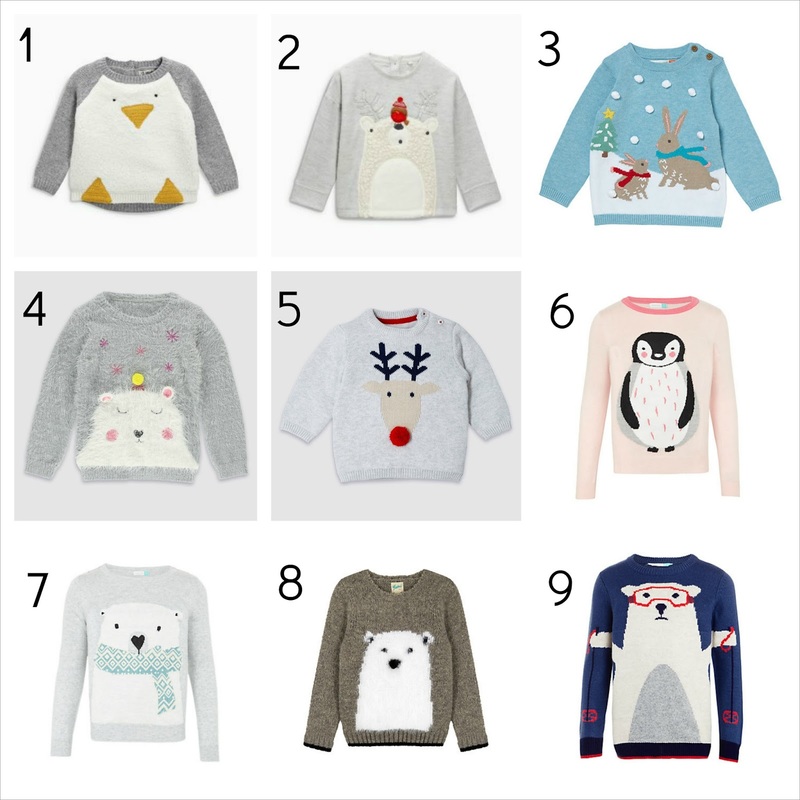 Here are my top Christmas jumper picks for young kids for 2016. (If you are looking for 2017 Christmas jumpers - hop here!). 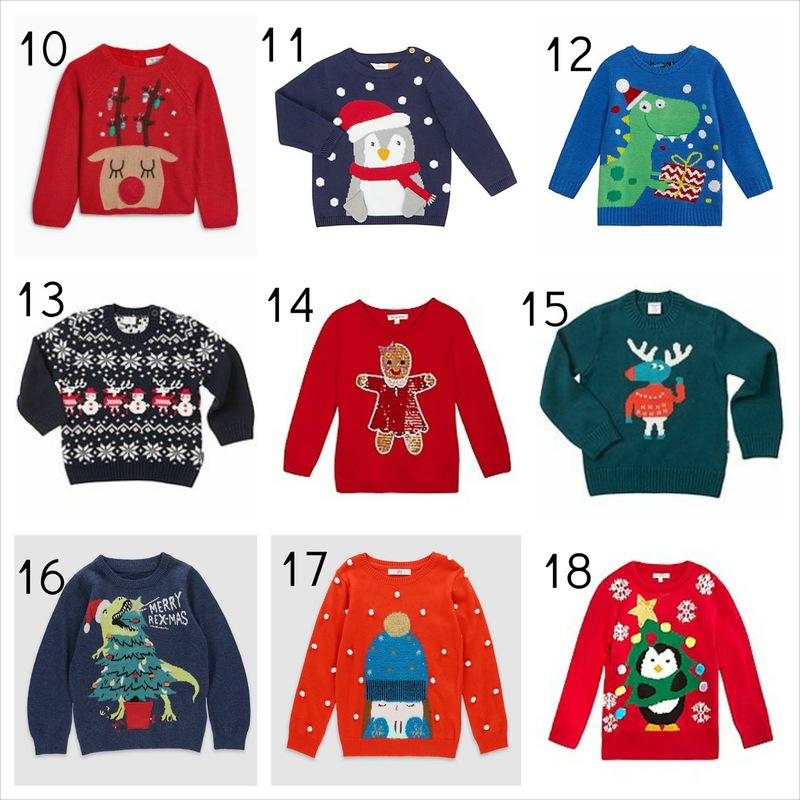 This post has become a bit of a tradition over here at Wave to Mummy blog - I am a huge fan of Christmas jumpers, especially for kids, and have trawled the interwebs shops for my favourite pieces this year, again. These are my favourite Christmas jumpers from this year and there are ideas for both boys and girls, from babies to school aged children! We have not yet bought a Christmas jumper, as the ones from last year might still fit fairly well. If they don't, I think I am heavily leaning towards number 12, the blue light up dinosaur! Have you got your Christmas jumpers yet? What was your favourite of these? I feel like drowning. Time is such a precious commodity and I have so little of it. I know I shouldn't really complain as the busyness I experience right now is the good kind. The kind that comes from new opportunities, moving on in life, having a family. But still. I feel tired. It has been a few weeks of long days at work to finish off projects and handing over tasks. Making notes for whoever picks up my projects, making sure all important files are filed away safely, making sure my desk is cleared and bags packed. I have a new job now. New job, new responsibilities, new direction. Senior to my job title and a sizeable increase in my salary. 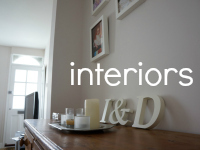 Other than my real-day-job-pay-the-bills kind of work my blog work has also upped a step. There is a lot more interest from brands for collaborations, new exciting opportunities emerging, and commissions coming in. There are posts from May still in my drafts. Hours of video waiting to be edited. Ideas brimming in my head. I've interviewed a celebrity, an inspirational woman I feel a lot of respect for (transcribing soon!). I have booked my first ever press trip, somewhere here in UK I've never been to. And amongst all this I wonder have I lost my voice a little. There are things I want to write about but usually I feel too tired to get my thoughts in order and words on paper. I would like to write more about being a working mum, about building a career, about the hectic life we create ourselves, and about balance. Or rather, the lack of it. I love writing about the adventures we have as a family and sharing my photography but i would like to add to that, something from the heart. The last few weeks have been difficult. Our little girl has caught all the possible nursery bugs you can get. She has been sick and tearful and in need of mummy. Who of course has not been able to be there. It is all of course temporary. After the next few weeks I will get into a routine at work. I'll clear the back log of my commercial posts. And as we beat the winter bugs we will be able to sleep better and feel better. And then it'll be Christmas. And a well-deserved holiday! 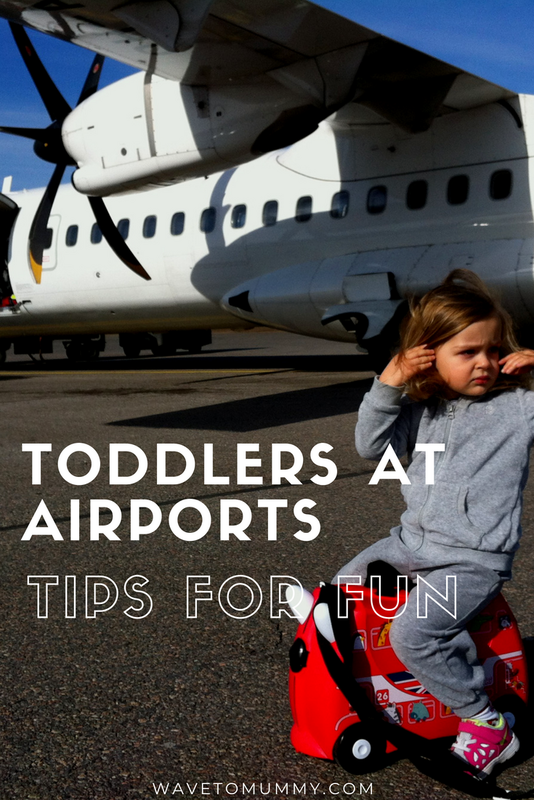 Here are our tips on how to entertain toddlers at the airport. 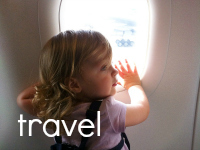 Our family loves travel but lets face it, the actual act of travelling is rarely fun. Kids and waiting around is not a good combination. 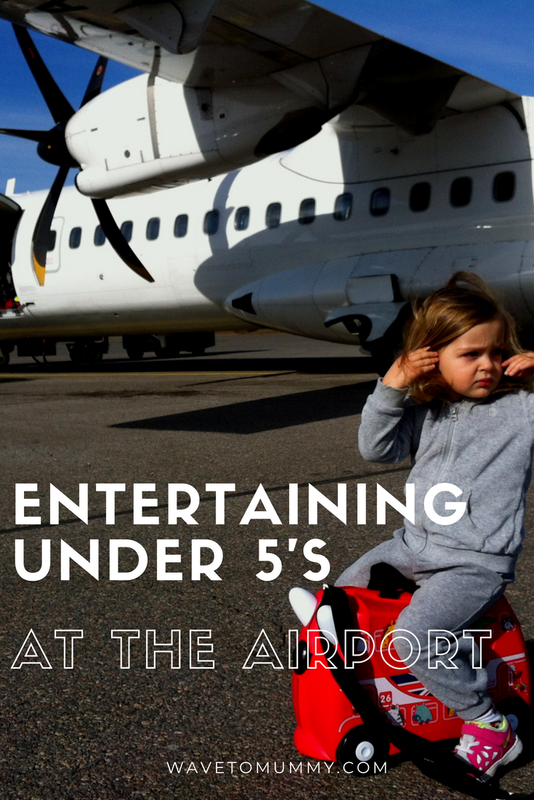 We have flown dozens of times and spent countless of hours on airports, and have had much experience of entertaining our toddler in the process. 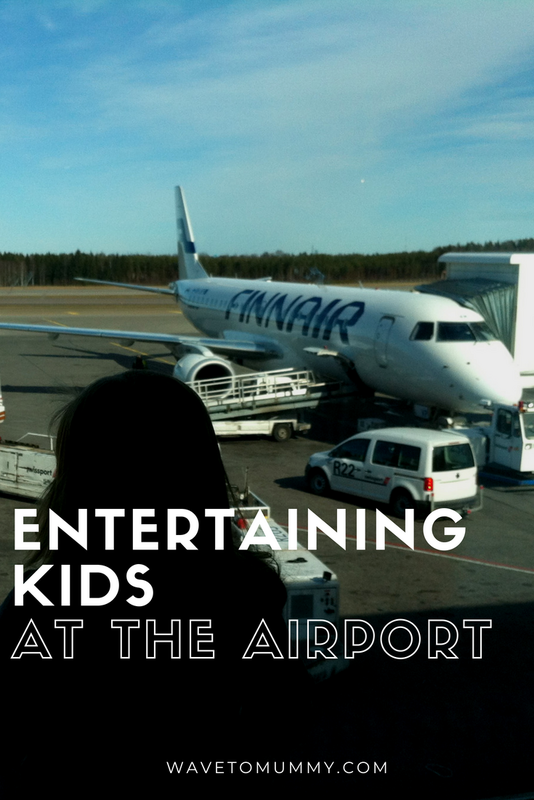 So I thought I'd give a brief overview of the three main ways we entertain our child at the airport. I hope they will help! Please note, this post is written in collaboration with Trunki - a fun ride-on suitcase for kids. Preparing an activity pack to take with you is a good idea. 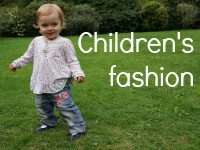 I have written my top ten tips to pack for a toddler activity pack, but you can't go wrong with a kids magazine, some selected toys and finger foods, and of course a tablet or a smart phone loaded with kids apps. And even if you forgot to prepare an activity pack - you could always buy a few chosen items at the airport! Be prepared to be silly and inventive! The standard games can help, such as I Spy, or Move and Freeze. You could even try to compete on who moves the slowest as you are waiting for check-in or boarding. Another thing I find useful is to give your child a task to do. Nothing too serious, like holding passports or tickets, ha ha, we all know how that would pan out. A good idea is holding a lunch item, or carrying something equally small, or taking care of an "important leaflet" you pick up on your way. They can also have their own luggage and be responsible for that. I loved having our Trunki suitcase with us at the airport. For those that don't know what it is, it is a colourful small plastic suitcase the kid can sit on, and as it has wheels you can also pull it. 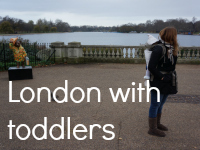 It provided so much entertainment for my child it acted almost like a second activity pack. When we were queuing to check in or at the passport control, I asked my daughter to take care of her Trunki and pull it after herself. I would ask her to sit on it and ride it everytime she got a bit antsy. We did a few bus races too, with her sitting on her Trunki and me "running" next to her. I was really pleased at how sturdy her Trunki suitcase was, and how much entertainment it provided. My daughter loved her Trunki and would not stop talking about it. At the airport there are a few activities you can do. Many airports nowadays have children's play areas - Heathrow for example has brilliant kids play lounges. Ask the staff at the airport, these play areas are often located a bit out of the way. Otherwise, on long stopovers we have enjoyed wandering about the airport. Plane spotting is great fun - walk about the gates and try and spot different types of planes through the windows. Many airports also have a viewing area where you can admire planes taking off. Shopping is another entertaining, albeit expensive activity. I am not a big fan of this as shopping is a pain with kids, however, buying them a new toy or a magazine is guaranteed to keep them entertained for a good while! Do you have any other good tips? 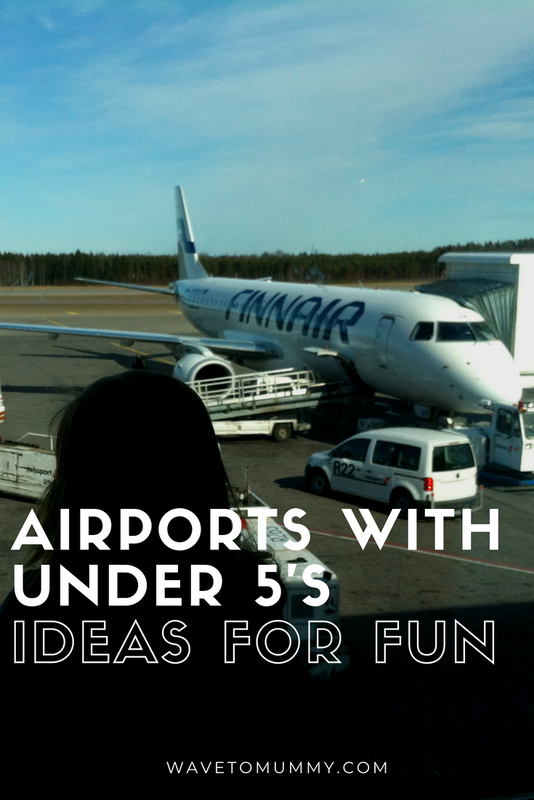 What have you done to entertain your kids at the airport? Giveaway is now finished but do check the comments - people have given some AMAZING tips! Some of my favourite additional tips are to let your child choose a book at the airport for reading on the aeroplane, preparing a scavenger hunt for them ahead of time (note down what you want them to find at the airport such as a luggage colour hunt, or a blue teddy, or a coffee shop), doing round-robin stories of other passengers, skipping ropes, colouring and sticker books and of course tablets!